Some years ago, the Albanian police started an aggressive eradication program to erase the cannabis fields. They arrested several growers expecting it would decrease the power of the mafia and help the country to enter into the European Union. But the efforts were not enough. Moreover, besides cannabis, Albanians are trafficking with cannabis, cocaine and heroin. In fact, it is becoming a narco-state. Albanian gangs are the world’s top heroin, cocaine and cannabis traffickers. It is considered by US and European law enforcement officials as the top cannabis provider of Europe. These agencies estimate that cannabis alone produces up to $ 4bn a year. The Adriatic Sea is a highway for drug trafficking. The coast guard officials say the traffickers are armed with Kalashnikov rifles and they don’t hesitate to use them against whoever is between them and their business. Even though eventually some traffickers are caught, most times the cannabis escapes the vigilance. Albanians authorities say that they only intercede 10 per cent of drug shipments, which leaves the traffickers with money enough to bribe port authorities. The different groups that are operating in this country have networks all over the world. And it is not a secret that these gangs have political and police protection. 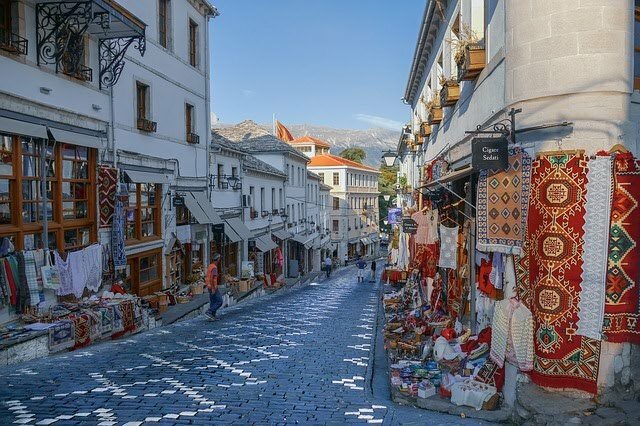 Even though Albania is, officially, one of the poorest countries in Europe, in fact Albania is experiencing a construction boom with shopping centers and new modern buildings. Where does the money come from? In most cities you can see young men driving luxury cars and wearing very expensive clothes. You can see young men who are in their early 20s that are very rich although they lack education and the training to develop such a wealth. The drug business seems to be irresistible to young people with few opportunities in a country where poverty and unemployment is so common. For many years, Edison Harizaj, also called “il padrino”, was the top leader in cannabis trafficking. He reached the top getting rid of his rivals and bribing local police. He used a lot of violence to destroy his enemies in order to leave his own gang alone. In just one year about 24 people connected to the drug market disappeared. On 7 November last year, “il padrino” was killed on the road and is well known that the killers were the same traffickers he pushed out of Albania some years before. During the last years Albania has been trying to get rid of cannabis growth raiding some towns. In some areas, aerial surveillance has discovered cultivations that were producing $4.5bn worth of cannabis a year. Only between 2011 and 2016, Albania burned 2.5m marijuana plants and 5,200 fields. But in fact nothing has changed. The burning of cannabis fields has pushed the gangsters to evolve toward heroin and cocaine, although cannabis continues being an important business. Some of the cannabis that continues growing is being shipped back to Turkey using the same networks they use to bring heroin from that country. Impunity is enormous in Albania. In the north of the country police are directly growing, cultivating and packaging cannabis in connivance with traffickers.